We all know highly creative, talented, innovative women who are held back by self-doubt—too many women have been taught to be risk averse, viewing a failure or setback as the end of the line. But if you know a typical 5-year-old-girl, you likely know a kid bursting with entrepreneurial qualities: little girls are adventurous, creative, resilient, and think outside the box. The problem is that these bold, imaginative powers – and their application to STEM fields – are conditioned out by social pressure and educated out by a system designed to create the boundaries valued by the old world, not the new. 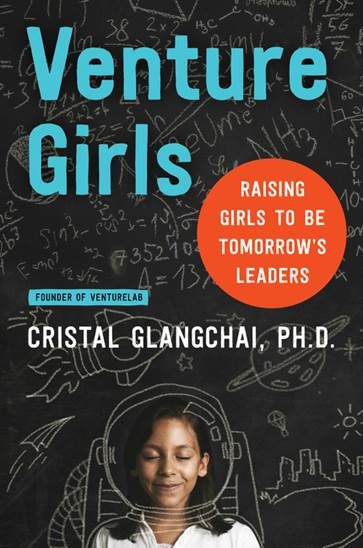 In VENTUREGIRLS: Raising Girls to Be Tomorrow’s Leaders (Harper Paperbacks original; on-sale: May 8, 2018; ISBN: 9780062697554), Dr. Cristal Glangchai offers unique solutions based on her own experience as an engineer, entrepreneur, and the founder of the VentureLab, an experiential learning academy focused on entrepreneurship and technology for kids. As the female CEO of a tech startup, Cristal Glangchai, Ph.D. is outnumbered 20 to one. At Google, Twitter, and Facebook, women fill just ten to twenty percent of the technical jobs. And while career opportunities in science, technology, engineering and math have increased dramatically in the past twenty years, the achievement gap between men and women has only gotten wider. Practical and accessible, VENTUREGIRLS is a timely and conversation-changing look at how to engage young women in the STEM fields. Dr. Glangchai argues that entrepreneurship is about more than starting companies—it’s both a skillset and a mindset; she shows us how fostering entrepreneurship in girls is a key part of raising strong, confident young women and giving them the tools to engage in the STEM fields. Filled with hands-on activities and practical advice, VENTUREGIRLS aims to give parents and educators the resources girls need to turn their dreams into realities. 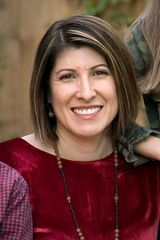 About the Author: Luz Cristal Glangchai, Ph.D., is a scientist, entrepreneur, and mentor with a passion for teaching and engaging girls in entrepreneurship, science, and technology. She is the Founder and CEO of VentureLab, a nonprofit that is creating the next generation of innovators and changemakers by making world class entrepreneurship education accessible to kids all around the world and empowering anyone to be a champion for entrepreneurial learning. Q1. As an Austinite with two young daughters, I find local free resources for my daughters in STEM activities in Austin like GirlStart to be refreshing but limited. Did you experience a lack of free or inexpensive resources for children to learn leadership skills as an Austin resident? Dr. Cristal Glangchai: Yes, especially when my kids were younger, between the ages of 4-6. Besides museums, I found a lack of STEM, entrepreneurship, and leadership programs. Part of the reason I created VentureLab, was to provide a way for kids as young as 5 to get these experiences. Q2. As a parent, how am I able to bring VentureLab training to my child’s school? Dr. Cristal Glangchai: I would speak to your teachers, PTA, or administrators. Have them check out our website, www.venturelab.org, and contact us for training. VentureLab does teacher training on the entrepreneurial mindset/skillset (with girls in mind), and we will begin parent training on the entrepreneurial mindset in San Antonio this summer. Q3. VentureLab curriculum resources on your website starts for 6th grade. 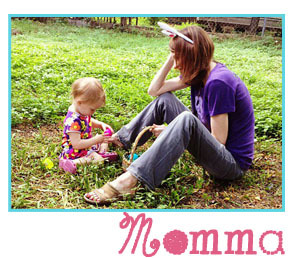 Are you planning to develop resources for children in early elementary? Dr. Cristal Glangchai: Yes!! I would say that our sweet spot is bringing the entrepreneurial mindset to the youngest of kids. I’m excited to announce that lessons from our elementary school curriculum will begin popping up on our website during the months of May and June. Q4. Besides VentureLab curriculum, what other resources do you recommend to parents who want to help their children develop leadership skills? Dr. Cristal Glangchai: I like Sean Covey’s the Seven Habits of Happy Kids and The Leader in Me program.